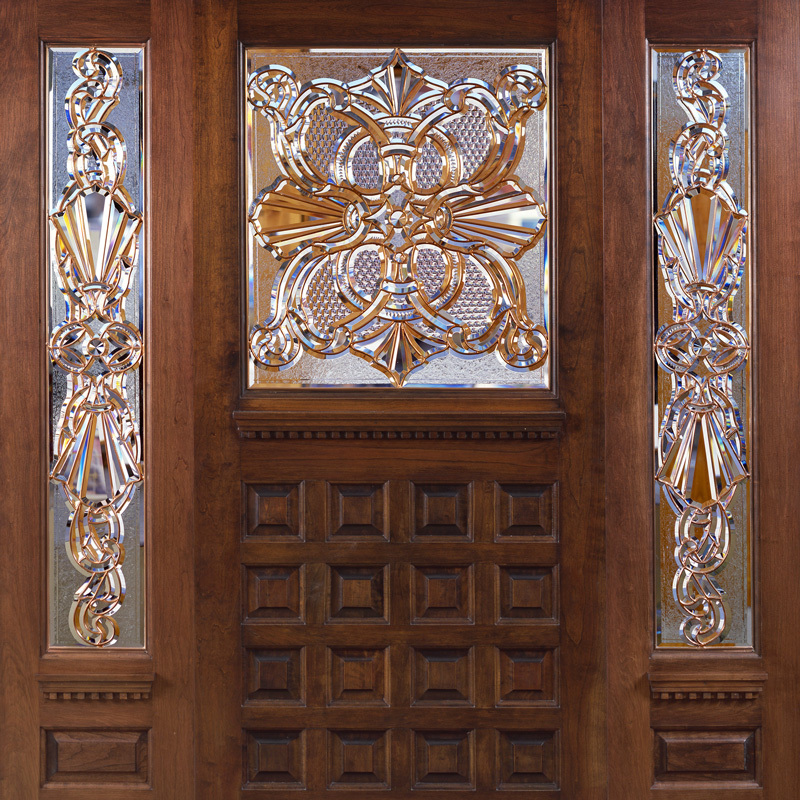 This 3 piece, all beveled, front entrance set is fabricated in Colonial zinc and flash copper electroplated. The set incorporates honey combing, V cutting and gradually increasing notched engraving, all hand ground and polished. All the bevel work has been done on 3/8"-1/2" Starphire float glass for crystal clear prisms and light transmission. but round off the bevel edge and instead all bevel work is done on stone and diamond wheels which impart sharp & precise edges.